Use this cool dirt bike rider silhouette for a motocross-themed birthday card, scrapbook page or gift bag. Works great for birthday party favor bags! 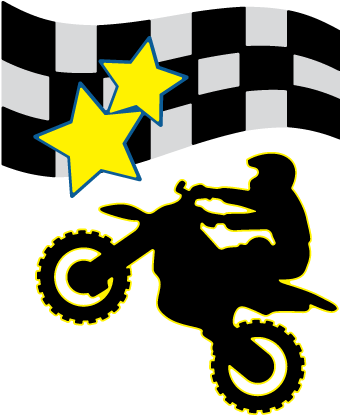 Make party banners and decor for your favorite motocross fan! Like the Freebie? Check out the Instant Memories SVG Kit!